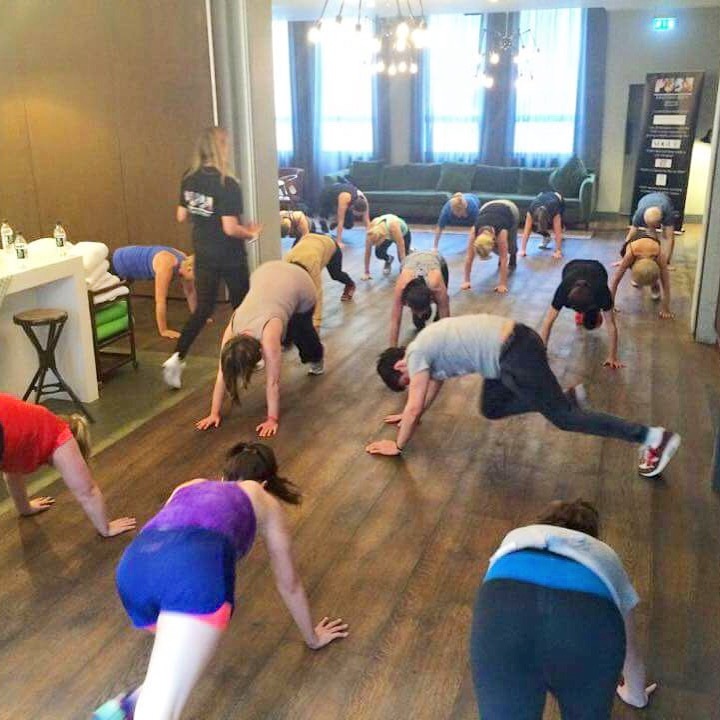 Just over a week ago, I took myself off to the PUSH Mind & Body bootcamp day at The Hoxton hotel in London. Why? Well, I’ve always wanted to give a bootcamp a try and, by that, I mean a week-long, transform-your-life kind of trip, but time and moolah prevented me from doing such and so the thought of cramming it all into one day in the city made a lot of sense to me. 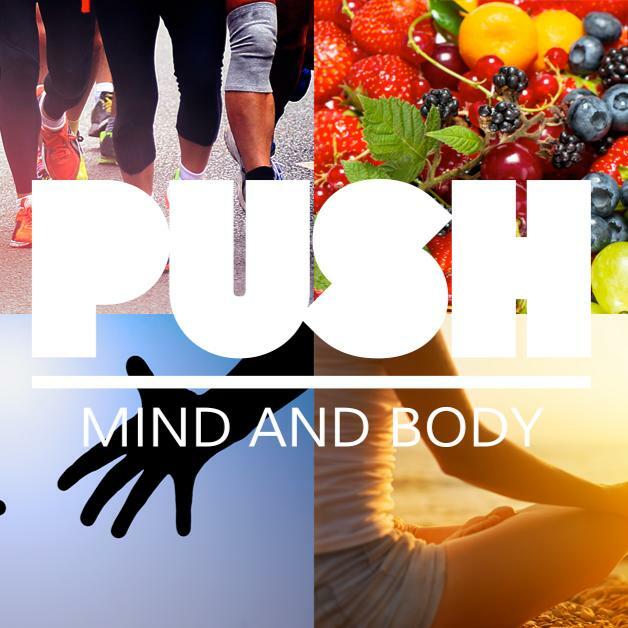 I was first attracted to PUSH specifically, because they deal with the mind as well as the body (it’s in the name, really…) and I really think that’s very important. Especially as stress affects your body in so many ways, it’s very important to address your mind before you even think about doing a huge physical bootcamp. The day was set up as a huge workout session in the morning that was essentially 3 workouts in one. We then had lunch, followed by a nutrition talk, a coaching session and a mindfulness talk. This was followed by girly chatter and a glass of wine because, you know… everything in moderation. Spending three hours toe-to-toe with Bear Grylls’ trainer is no walk in the park, let me tell you. For our first session with Natalie Summers, we started with a lot of resistance circuits, followed by what she deemed a ‘riot girl’ boxing workout before a power yoga session. We were sweating and aching, but all still smiling by the end of it. Nat has a funny way of making you push yourself really hard without making you want to stand up and kill her. It’s the perfect balance for a PT workout. She kept telling me that I was at only 70% of my power and that I could jump higher, punch harder and move faster. What did I think? I really enjoyed it. I actually forgot how hard I can push myself and I realised that all of my recent 28 minute Kayla workouts where I take a few breaks in between circuits and choose them instead of a run or a yoga session is probably not the level that my intensity should be. Really, mixing it up will get me the results quicker. My mini takeaway goal is to push myself more, up my cardio and punch harder than I think I can. I will find my 100% effort, just like Natalie told me to! Nutritionist Nic gave the first talk after a great lunch at The Hoxton. We all settled down with a cup of tea and a notepad to chat about nutrition and how to eat well when you are busy. In a nutshell, it’s all about choices. It’s not rocket science. It is about too much sugar, it is about portion size and it is about making a decision every time you go to eat something. It is not about deprivation. Fruit won’t make you fat. Combine your food groups to keep hunger and cravings at bay. Educate yourself on nutrition and you’ll naturally make the right decision. I actually had one big takeaway from this – that I need to engage my brain and start putting the knowledge that I have into practice more often. I have read so much about nutrition and clean eating, but I don’t often follow that advice. Time to nourish myself properly. 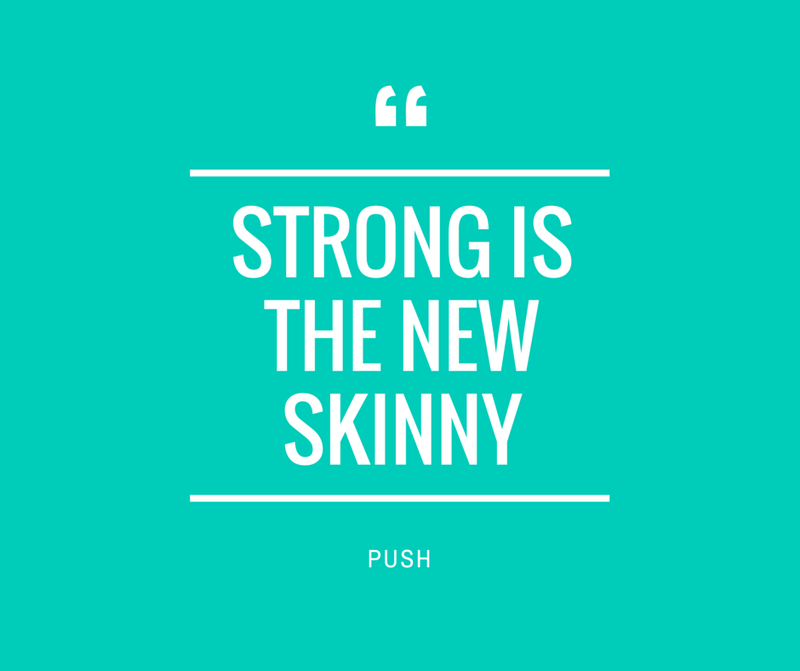 The coaching provided by PUSH is designed to give you methods and clear guidance on pushing forward and achieving the goals that you set yourself. 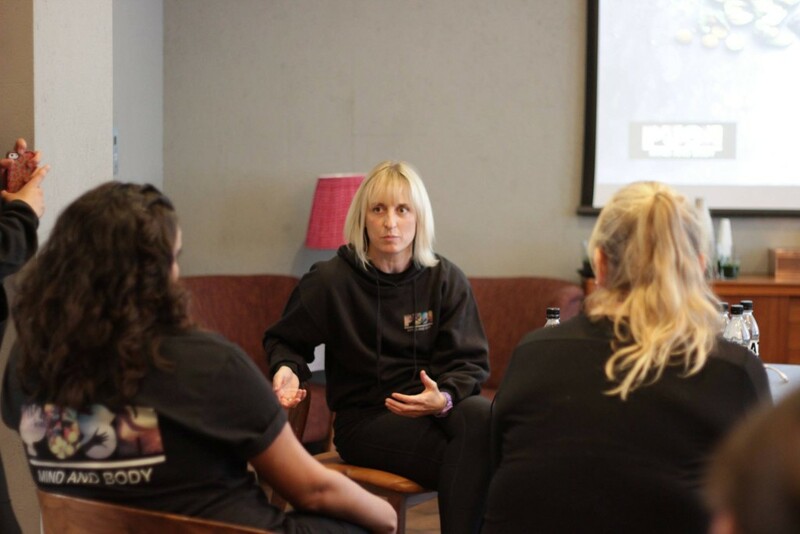 We had a taster session of this at The Hoxton, where we learnt that coaching is really about helping you to ask yourself the right questions, recognise your own strengths and weaknesses and make a plan to move forward. If you have the tools to make every day of your life as rewarding as a bootcamp day in terms of self-pride and confidence, then you are definitely more likely to achieve those goals. I took part in a short exercise called the ‘Wheel of Life’, where I just had to mark certain aspects of my life out of ten. Just 10 minutes on that exercise made me realise that I don’t balance my life very well. I should focus more on my health and talk to my friends more in order to project fewer of my scattered, stressful thoughts and worries on my boyfriend all the time, something that happens a lot when you work for yourself. My mini takeaway goal is to be a bit more strategic and forward-planning in my working life to regain a better work-life balance, which in turn will take the stress off my relationship and make time to focus on me, in terms of both health and fitness and my social life. Time for more catch ups with friends and date nights that don’t involve unloading about work. I’ve always been attracted to meditation. At the end of all of the yoga classes that I used to take, I used to feel so amazing at the end as I lay in my happy place, completely relaxed. I had the same feeling when we had the session with Palma. 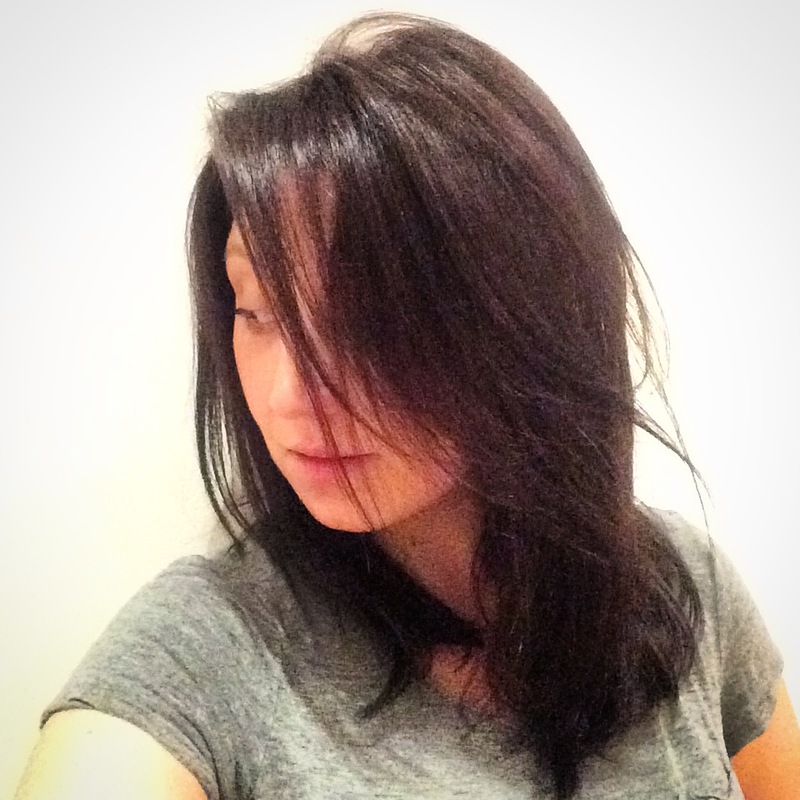 New to the team at PUSH, she had such a calm presence and voice that she really made you listen to her. Becoming mindful of your own actions and body naturally makes you slow down. It make you focus on task at a time, which helps if you are someone who tries to do too many things at once (like me!). Although I’ve never tried meditating by myself, I’ve definitely become more mindful – why am I eating this? How can I concentrate on this if the tv is on and I’m checking my phone every 5 seconds? 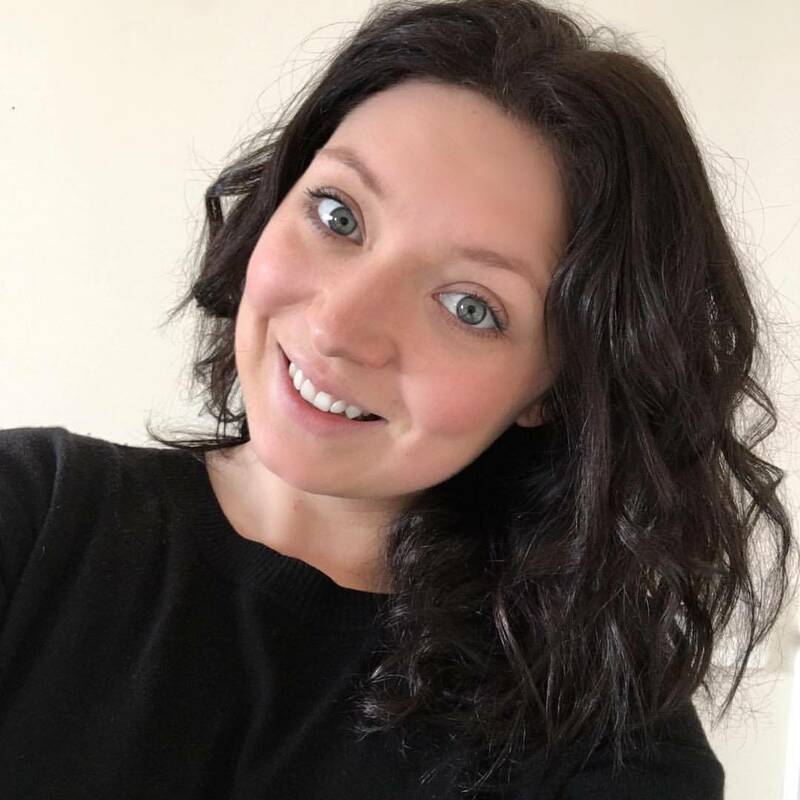 I’ve started to try and focus on my breathing a little more to centre myself or even go for a walk when I realise that I am not concentrating well and I’m also trying very hard to stop being so attached to technology – difficult for someone who makes a living running a variety of social media accounts! My mini takeaway goal is to start trying meditation every now and then and not get stressed if I can’t empty my mind! So, would I go to a full bootcamp? Yes, definitely. But price-wise, it’s a bit out of my all-about-me budget – that usually stretches to the occasional manicure or facial, not an entire week away – but I would consider attending one of these sessions every now and then, providing that they evolved and weren’t always introductory – because they still fit into my life as opposed to a wonderful week away that I would embrace fully at the time and then risk slipping back into my old ways. Having said that, the point of PUSH is to give you tools for the mind to prevent this, so I guess it would be worth that kind of investment. In fact, when you think of it like that, it’s kind of priceless.